The North Fork Flathead is included in the same Wild & Scenic River designation that includes the Middle Fork and South Fork above Hungry Horse Reservoir and features recreation, scenery, historic sites, unique fisheries and wildlife such as grizzly bears and wolves. The rugged area includes the landscapes of Glacier National Park and the Bob Marshall and Great Bear Wilderness areas. No permits are required for river use; however, there are regulations for human waste, campfires, stay limits, motorized watercraft, vehicle use, proper bear attractant storage and other site-specific rules on national forest lands. Please contact the Hungry Horse or Spotted Bear Ranger Districts for more information. Additionally, the lower Middle Fork and entire North Fork are boundaries to Glacier National Park, and those segments of river are managed cooperatively by both agencies. Specific rules and regulations for activities in Glacier National Park, including camping, campfires, bear attractant storage and other approved activities apply on Park Service lands and, in some cases, are different than the National Forest regulations. Please contact Glacier National Park for more information. There are several commercial outfitters that offer float trips. 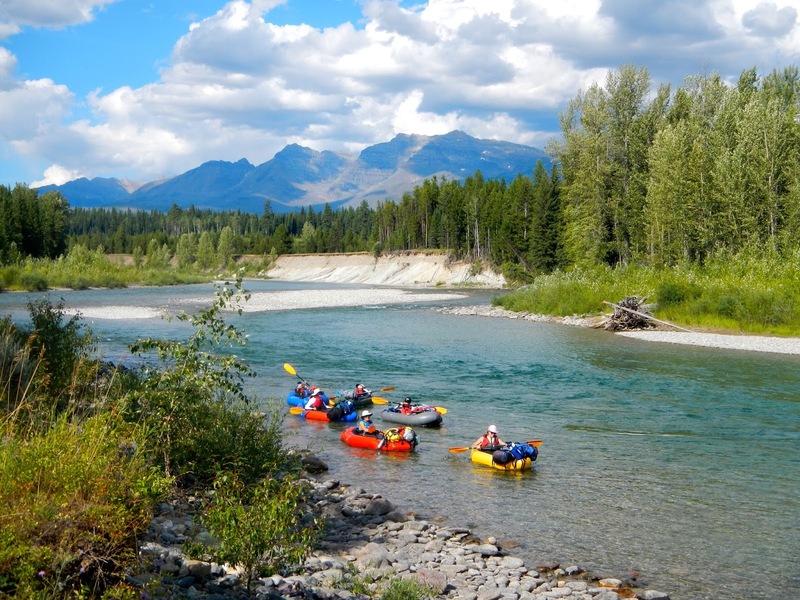 Details on these commercial rafting companies can be found at the Flathead Convention and Visitor Bureau or at any of the Flathead National Forest offices. (Source: Rivers.gov) Along this particular section, there are significant fire scares from 1988 (Red Bench Fire), 2001 (Moose Fire), and 2003 (Roberts Fire).